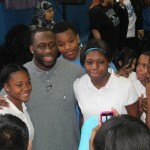 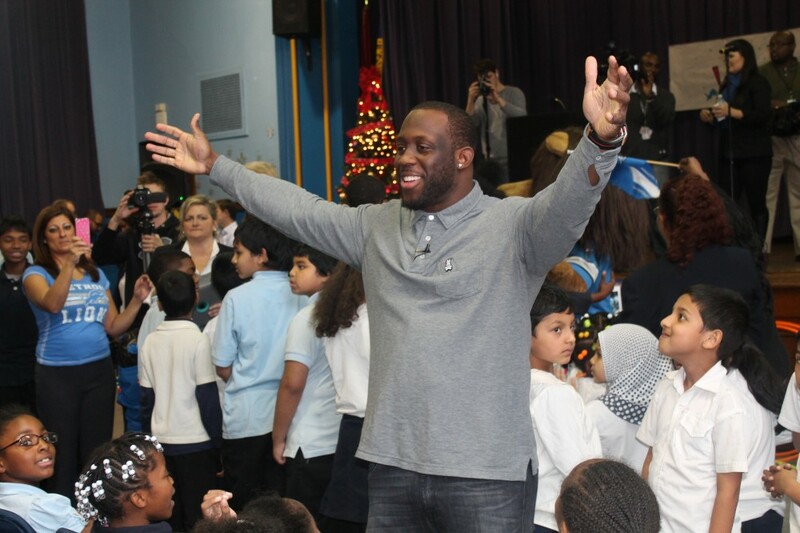 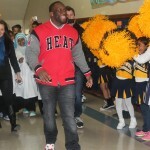 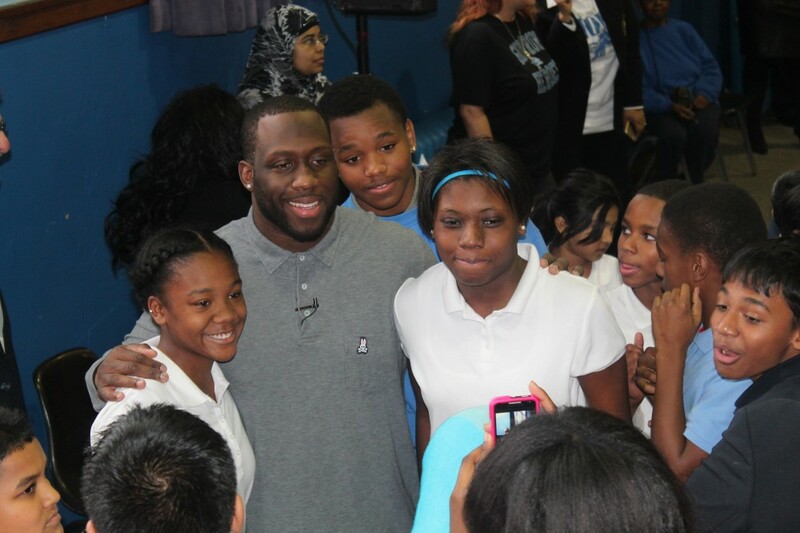 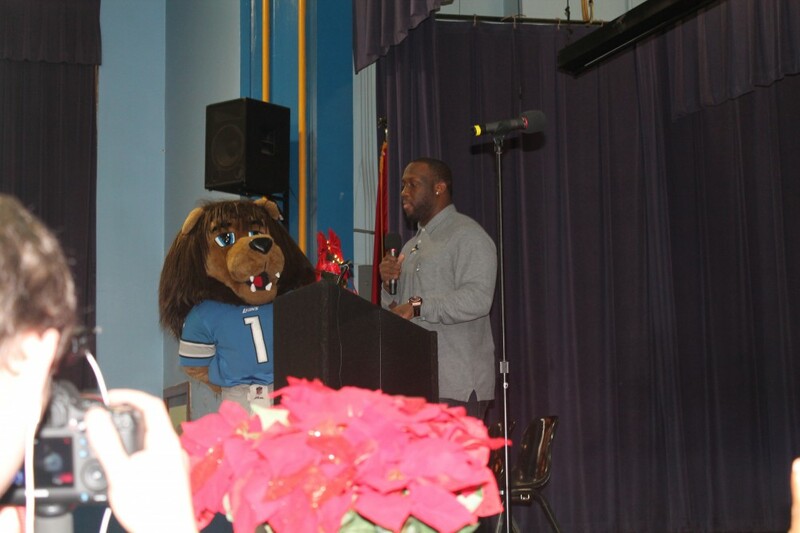 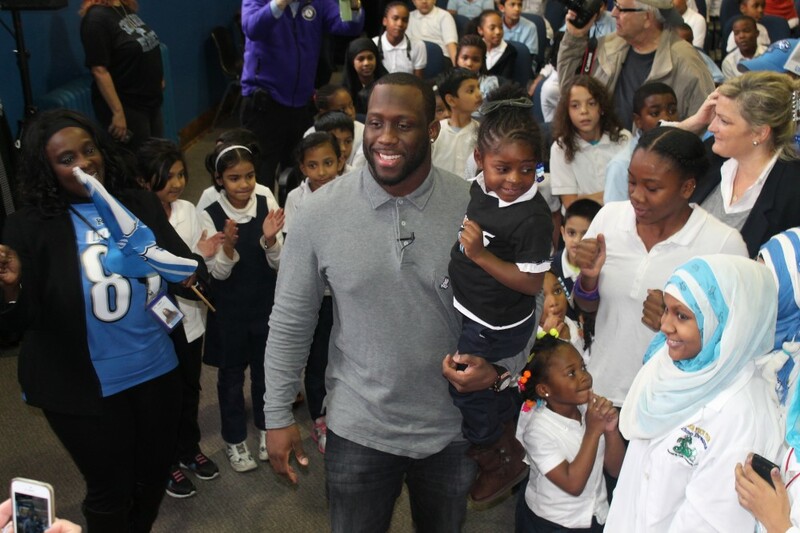 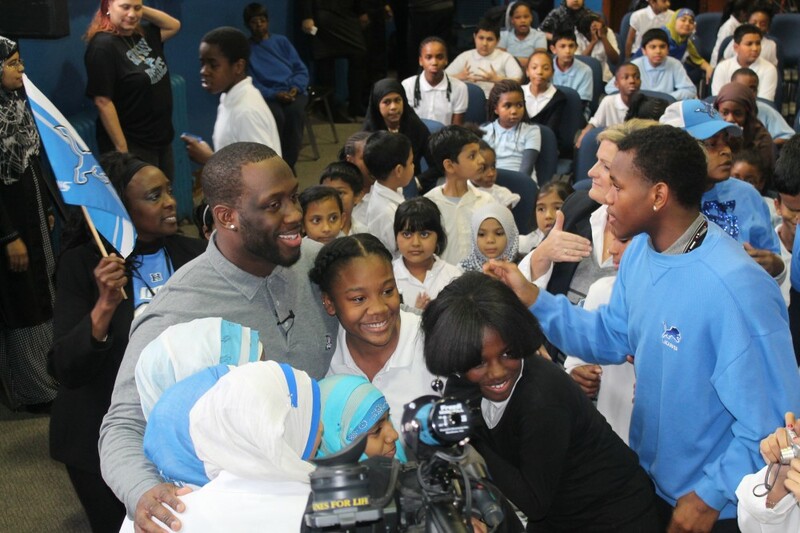 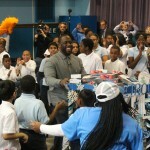 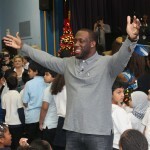 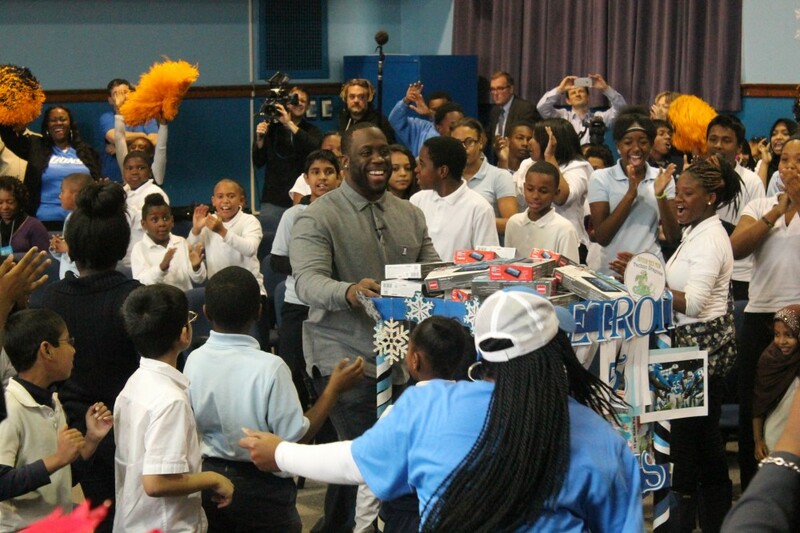 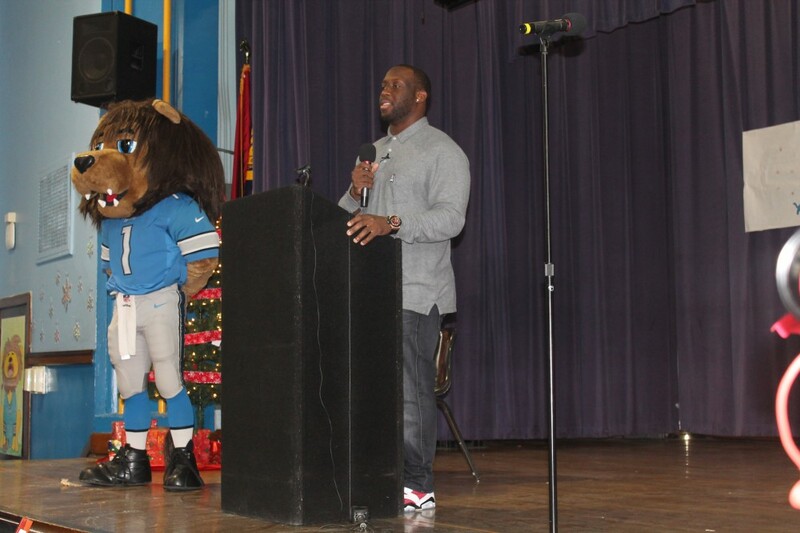 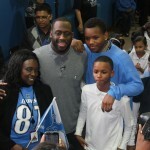 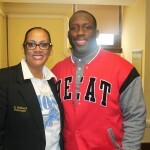 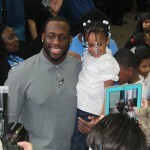 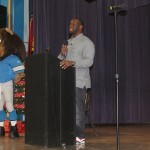 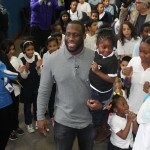 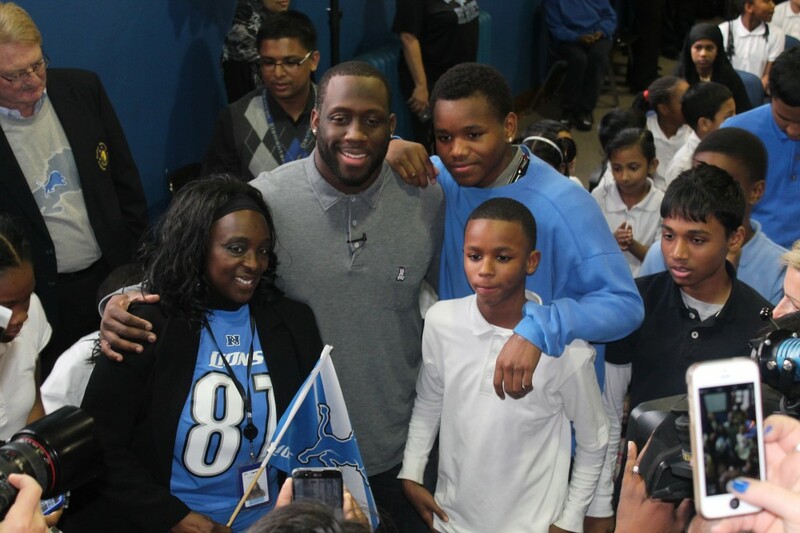 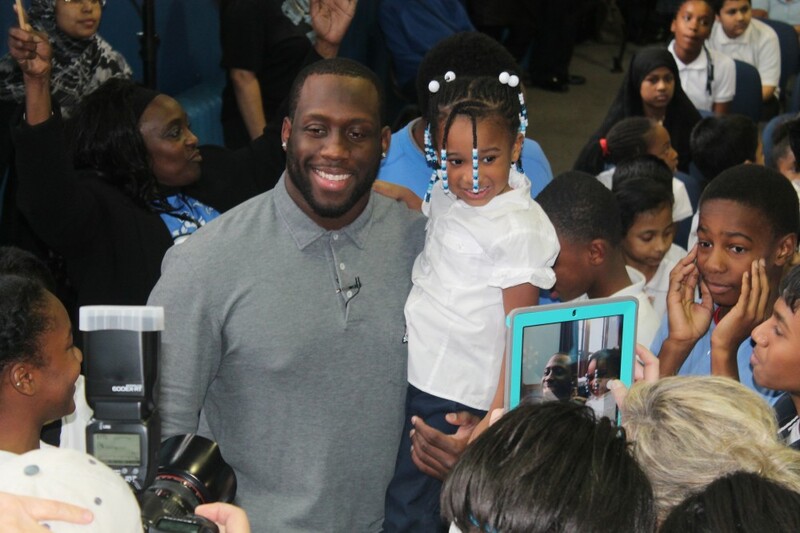 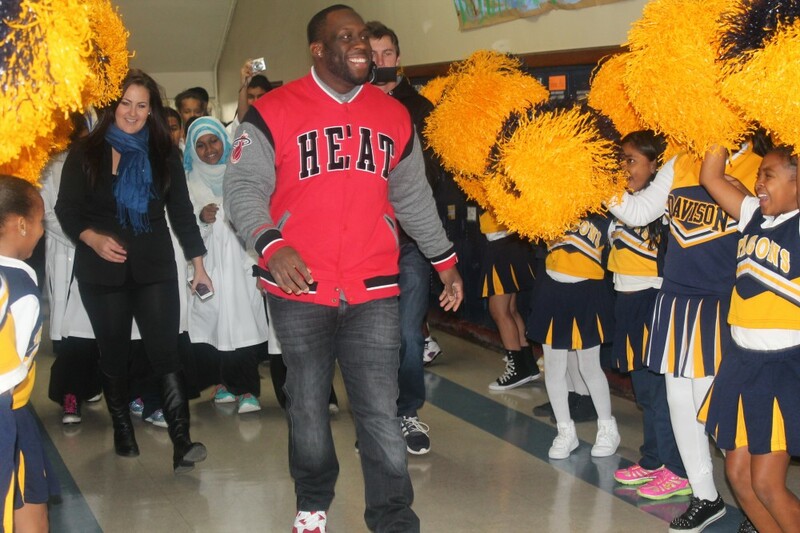 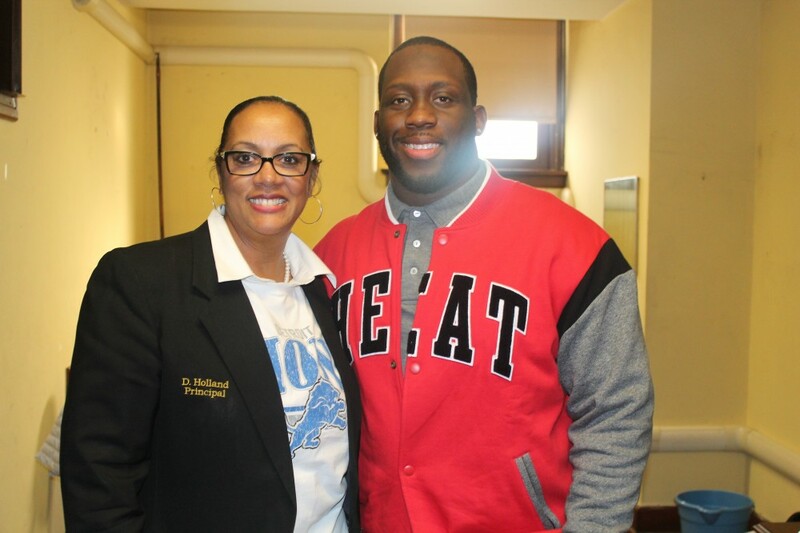 Stephen Tulloch, Linebacker for the Detroit Lions, continued his “Operation 55 Adopt a School” program on Tuesday, November 18 at Davison Elementary-Middle School. 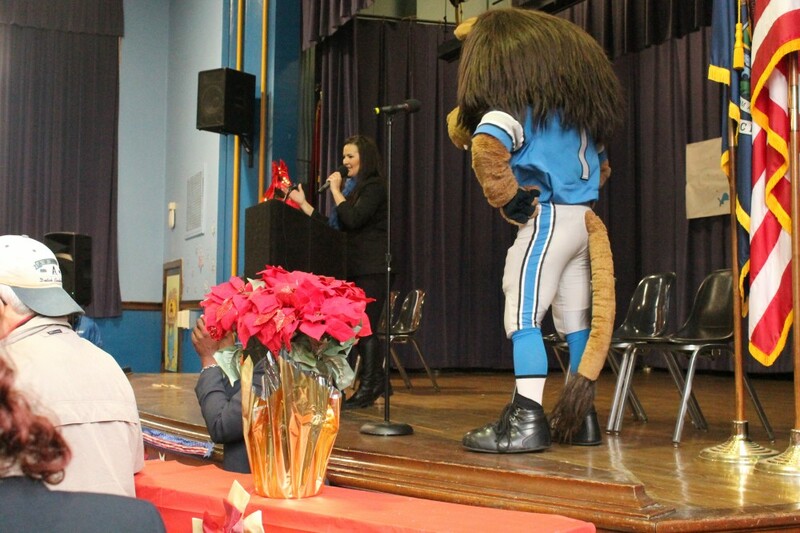 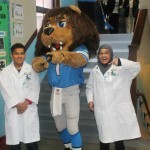 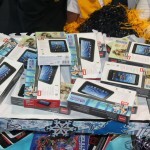 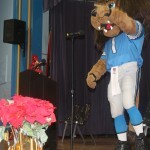 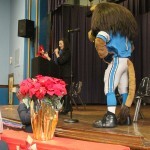 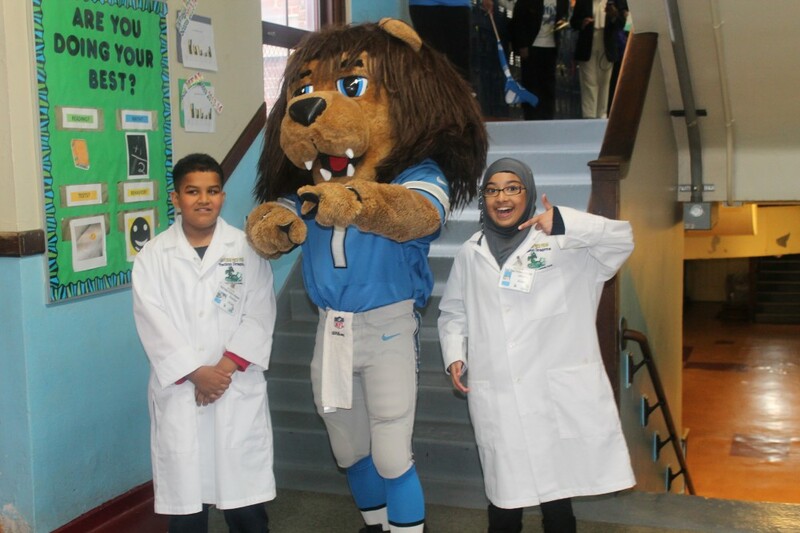 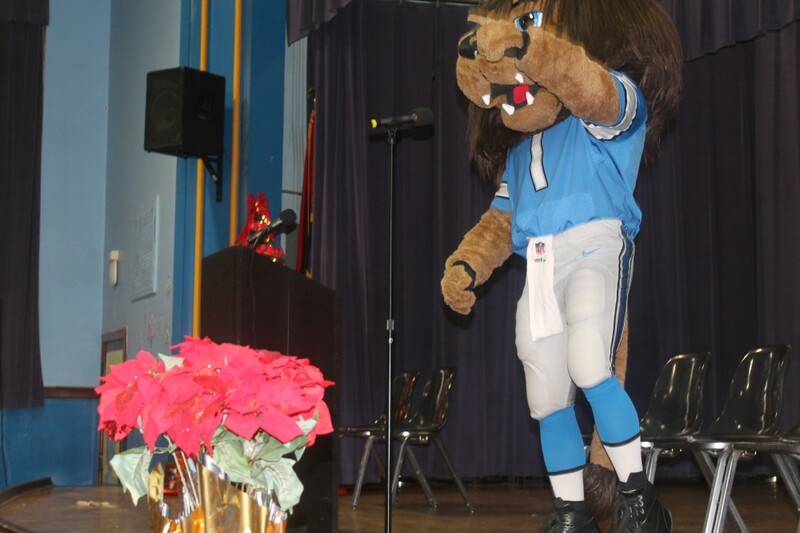 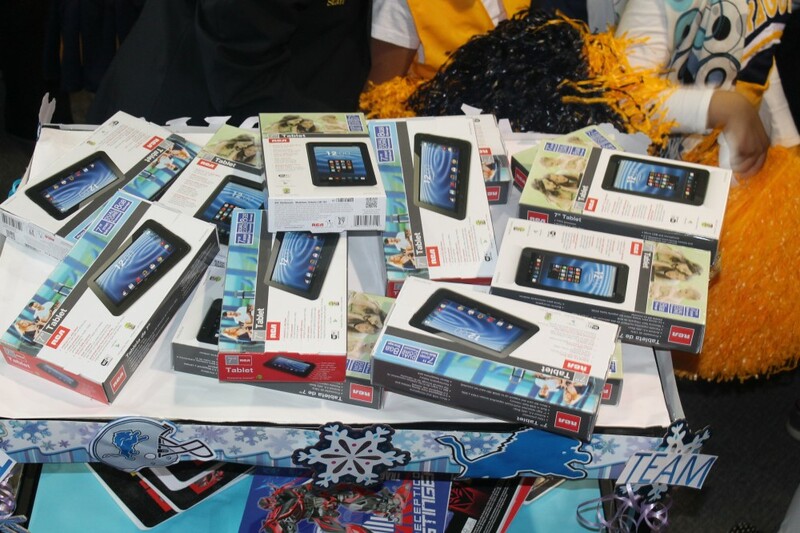 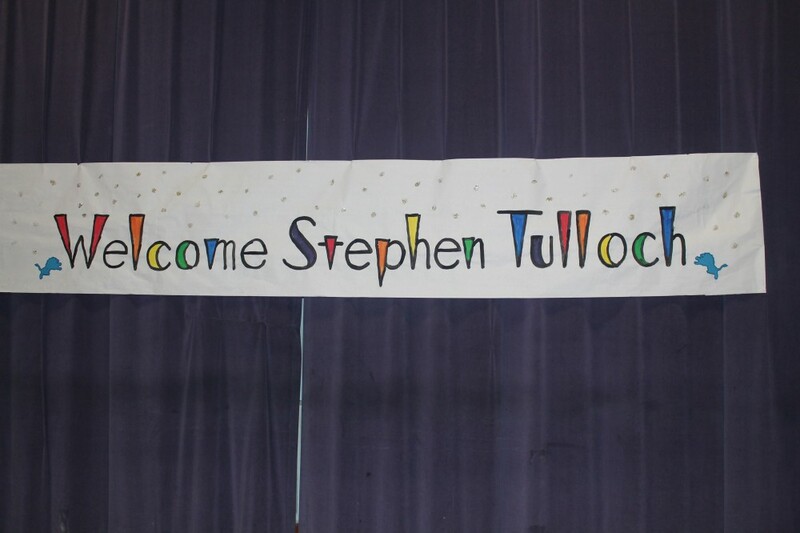 Tulloch, with the help of Roary the Lions mascot, delivered 25 tablets, art supplies, notebooks, calculators recess supplies, and learning games during an in-school assembly. 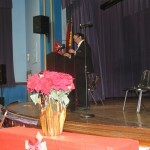 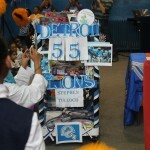 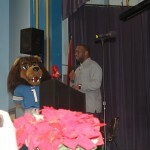 Operation 55 was launched in 2011 when Tulloch signed with the Detroit Lions. 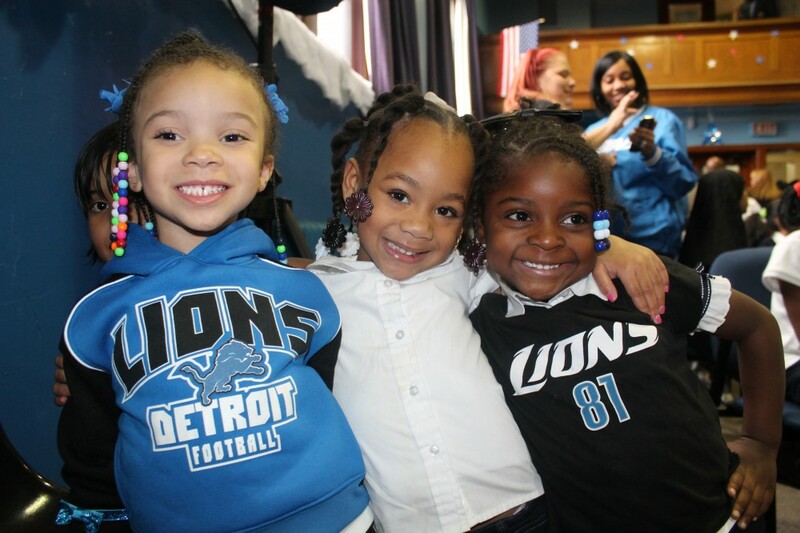 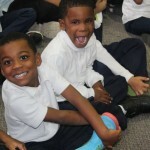 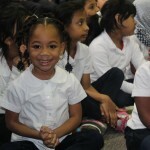 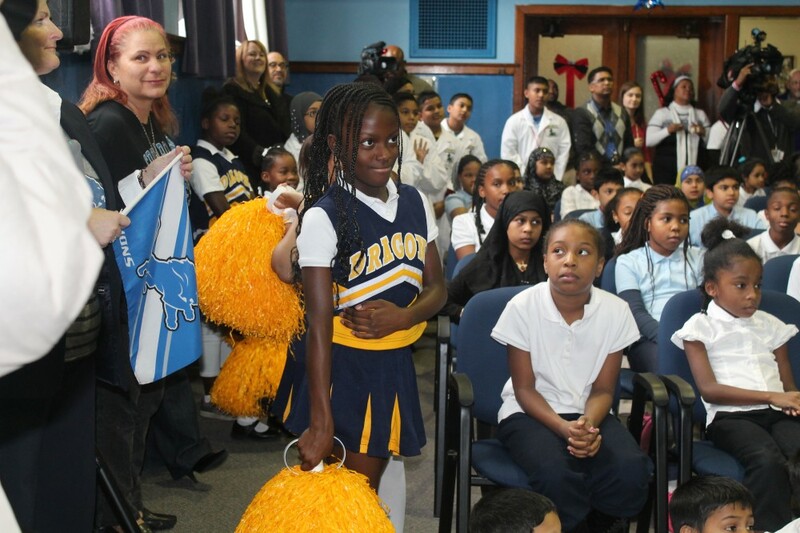 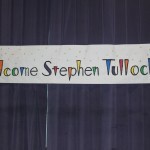 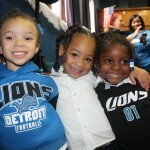 The purpose of the program is to help as many people as possible and give children throughout the Metro Detroit area opportunities to come to Detroit Lions’ home games to experience a game day with Tulloch. 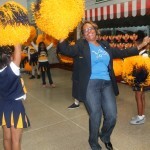 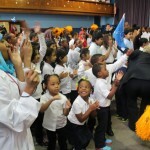 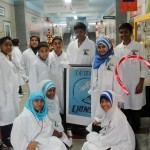 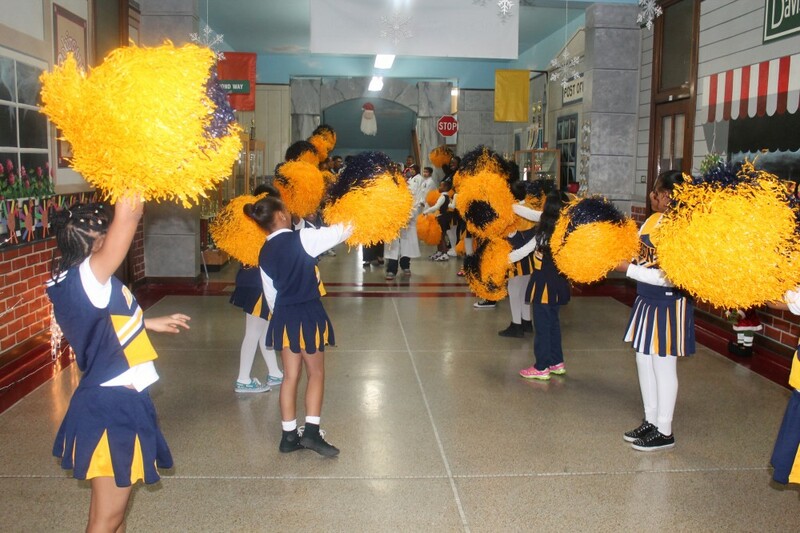 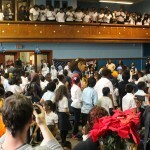 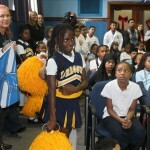 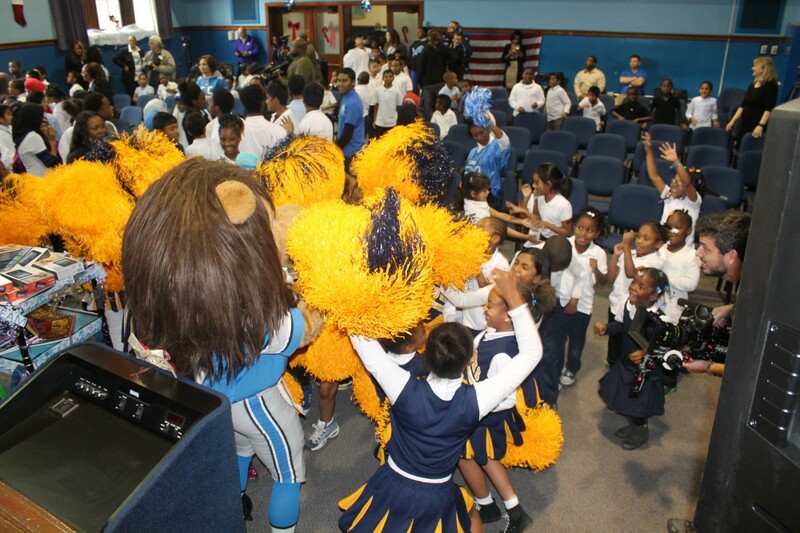 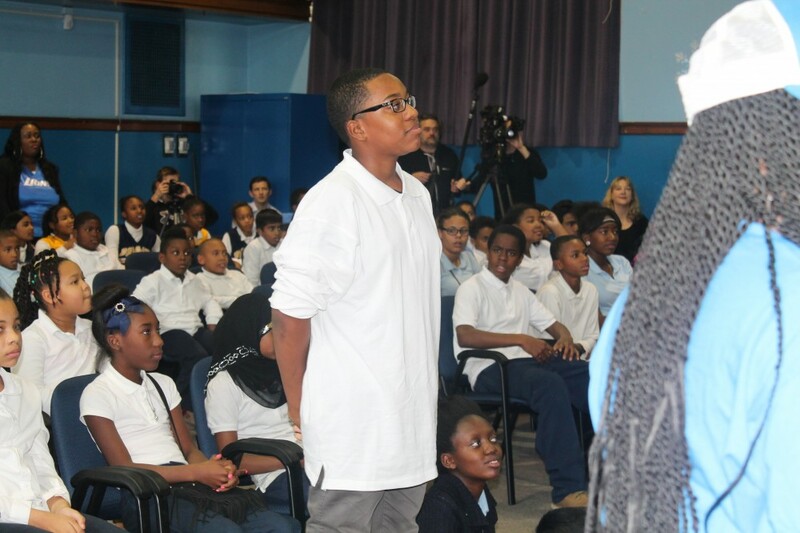 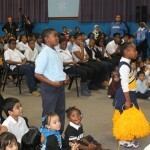 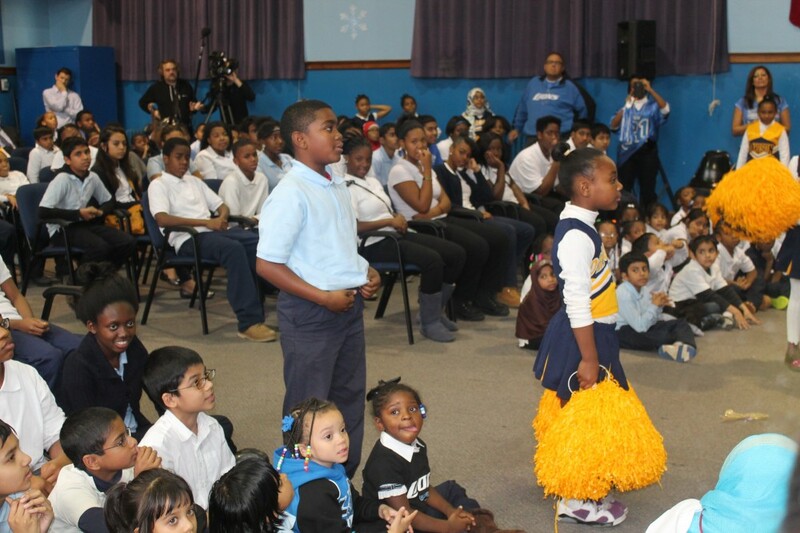 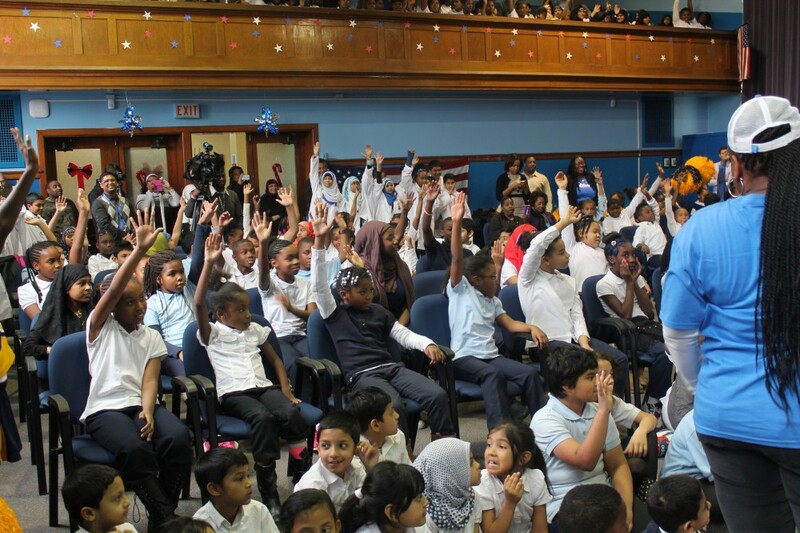 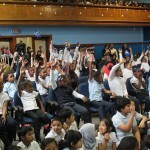 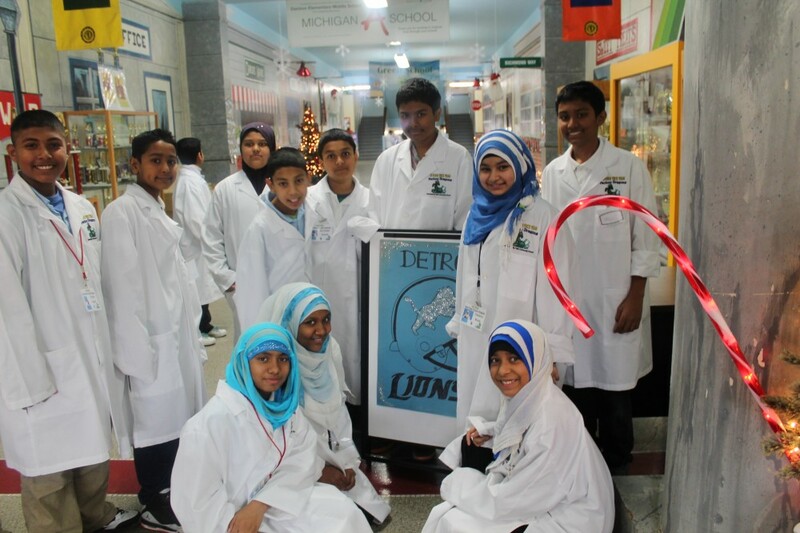 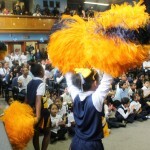 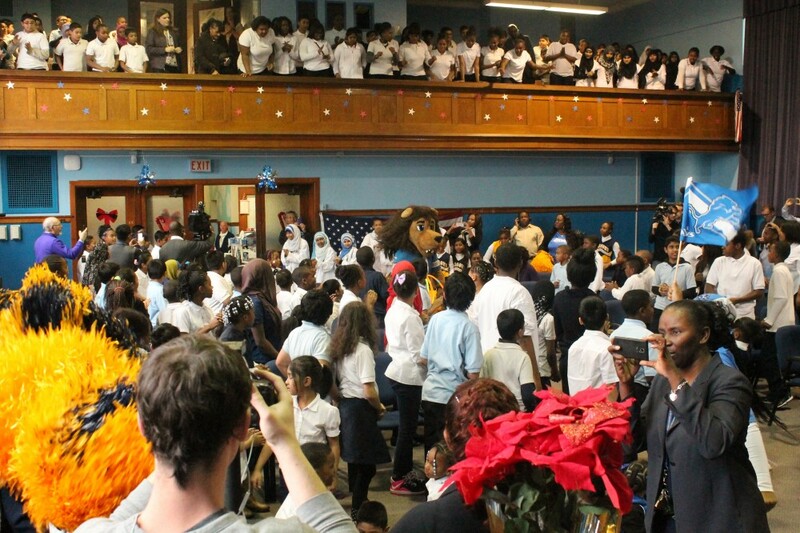 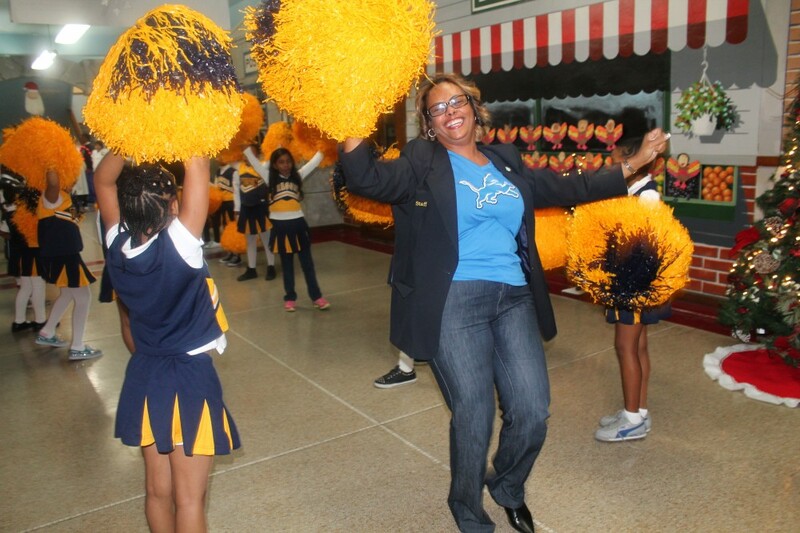 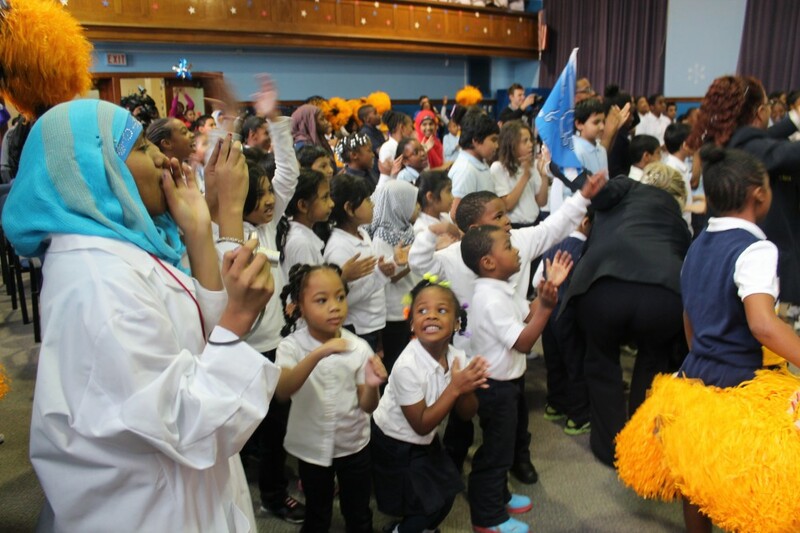 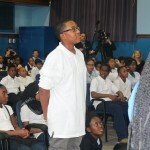 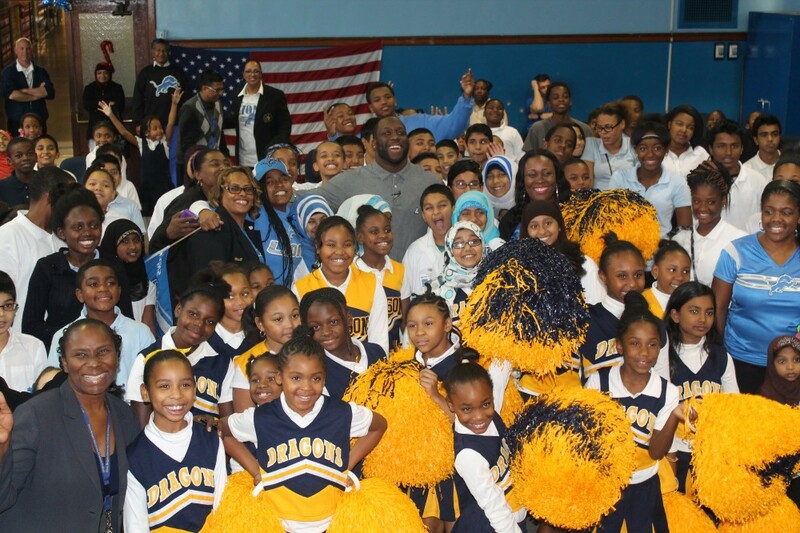 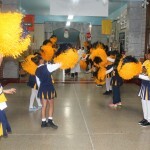 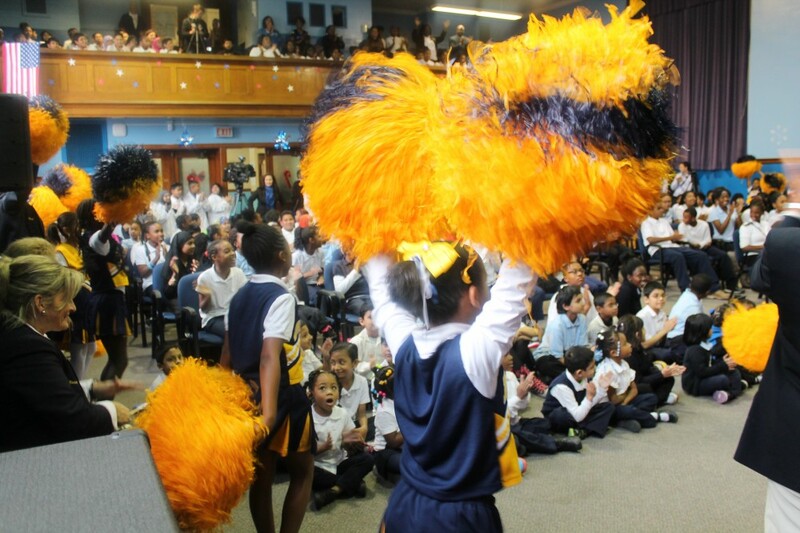 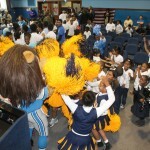 He has taken over 2,000 kids from various organizations throughout Detroit, including The Jalen Rose Leadership Academy, Big Family and more, to Detroit Lions’ home games since he became a Detroit Lion. 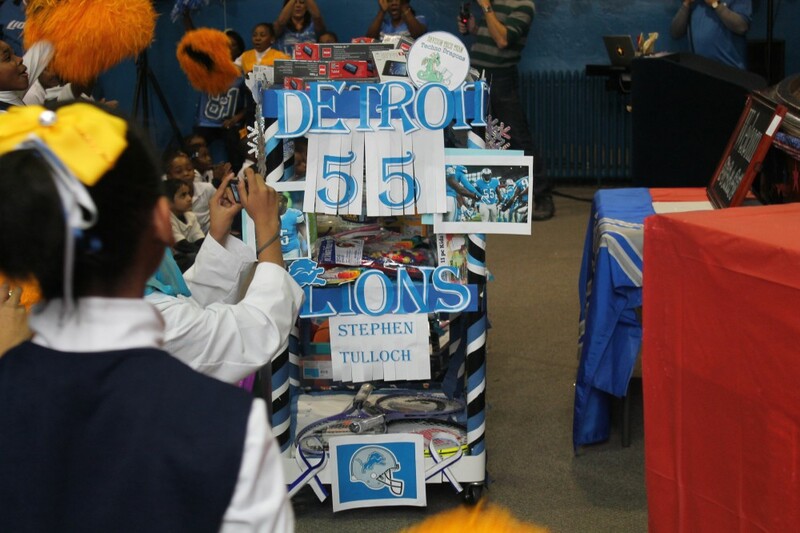 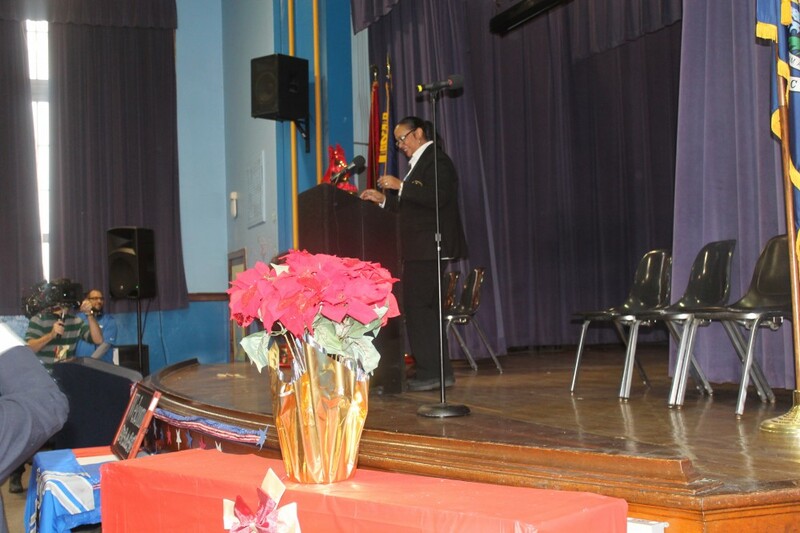 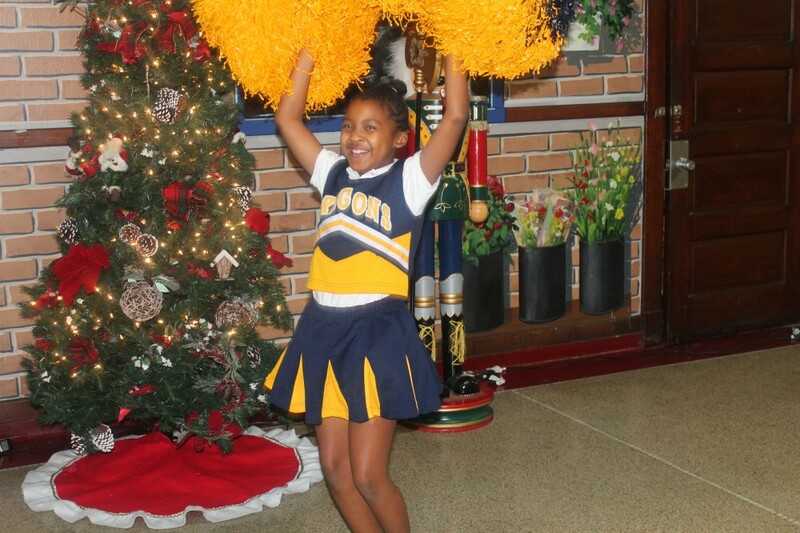 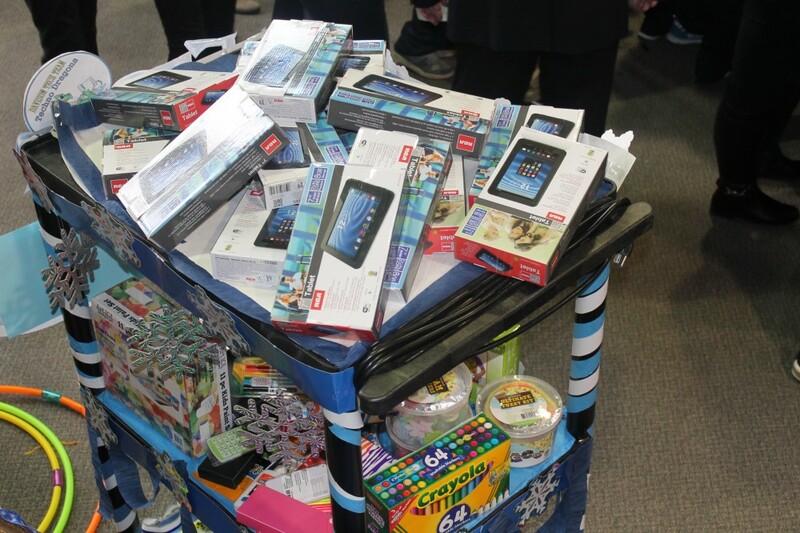 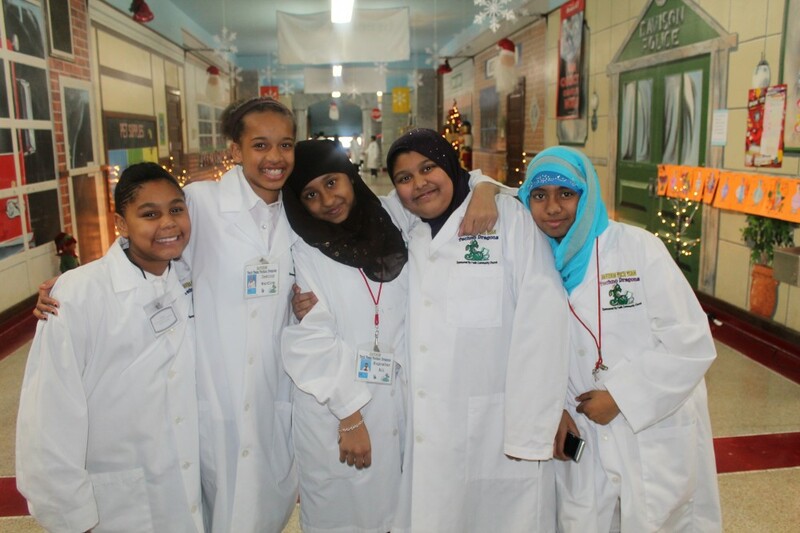 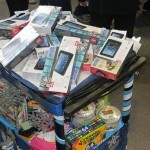 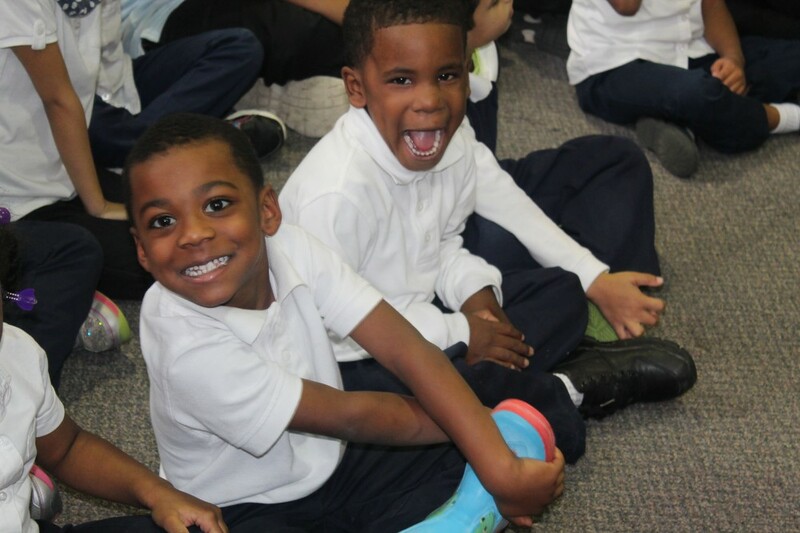 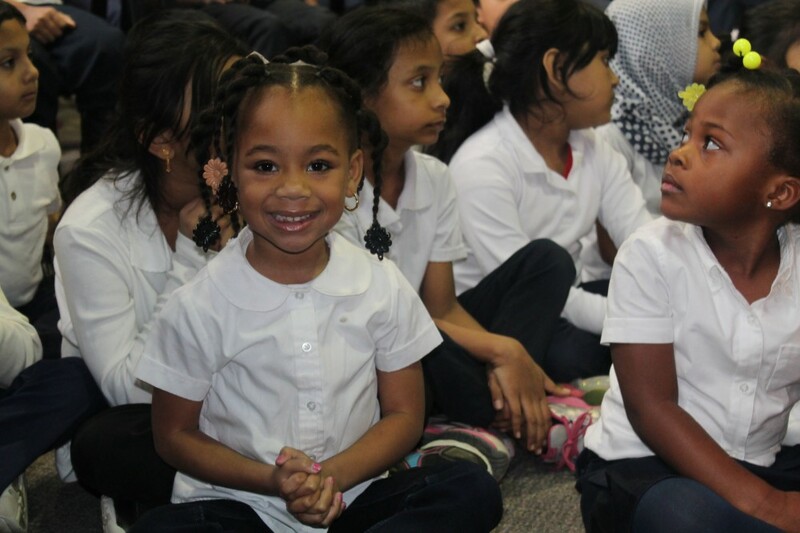 Tulloch also partnered with the Covenant House of Michigan, providing 55 kids with free dental services, and adopted families in Detroit for the holidays providing them with food, clothing and toys.